The Market is Segmented by Type (Active Pharmaceutical Ingredient (API) Manufacturing, Finished Dosage Formulation (FDF) Development and Manufacturing, and Secondary Packaging), and Region. 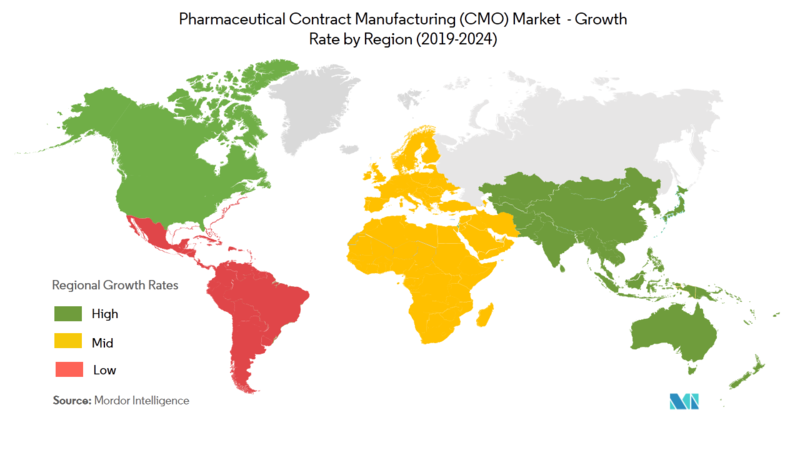 The pharmaceutical contract manufacturing (CMO) market is expected to register a CAGR of over 7.75% during the forecast period 2019 - 2024. 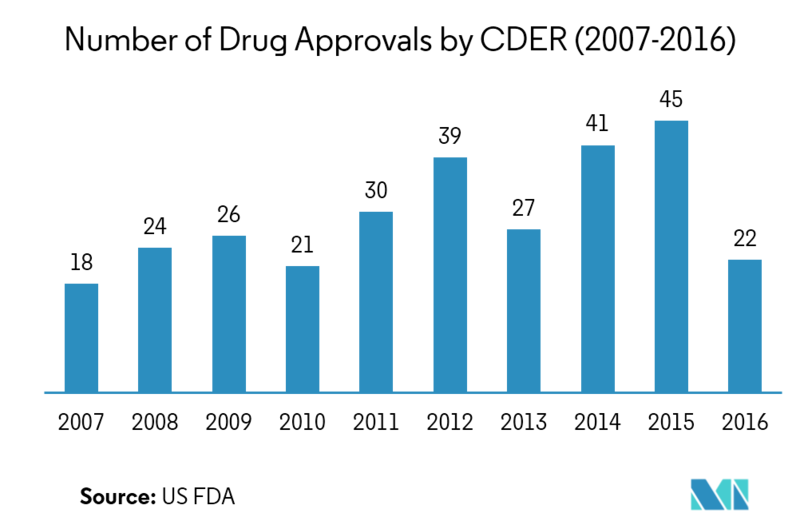 With the growing demand for generic medicines and biologics, the capital-intensive nature of the business, and the complex manufacturing requirements, many pharmaceutical companies have identified the potential profitability in contracting with a CMO (contract manufacturing outsourcing) for both clinical and commercial stage manufacturing. Additionally, pharmaceutical companies have been directing their priorities toward the core areas of competency, and hence, prefer not to dispense available resources, expertise, and technology on formulating the final dose of medicines. In order to adapt to the paradigm shift in the biotechnology industry and the present biopharmaceutical industry trends, CMOs have decided to move away from solely renting manufacturing units to a business model that offers extensive development and production support. CMOs and contract development and manufacturing organizations (CDMO) individually or together have started offering many specialized, value-added services for customers with early-stage development needs and for those who require support to generate a biologics license application (BLA) enabling process validation data package. 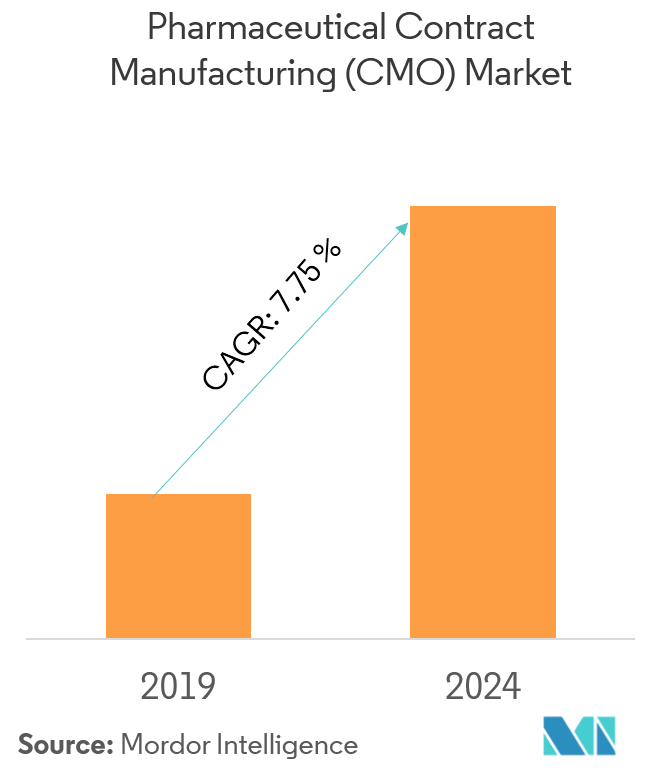 CMOs have begun offering early development support to their customers, along with fully integrated services, which include specialized services like aseptic fill–finish. Though the concept of CDMO was introduced earlier, it has been fully realized over the last few years. The costs invested in R&D are continuously increasing, and yet the useful results returned from these processes are becoming rarer. Many companies have realized that moving this part of the business overseas and taking advantage of the still-emerging pharmaceutical markets is an effective method of cutting costs. Despite the existing evidence regarding cost savings and competences that can be accrued, many companies are reluctant to give up that control, going so far as to state that logistics are a core competency for the company. However, that scenario seems to be changing slowly. The demand for API manufacturing has witnessed a sustained rise in the past few years, and it is expected to continue growing steadily, with further patent expiries expected in the future and a subsequent increase in global generic production capacities. Most of the companies in this industry are increasingly focusing on the development of biological APIs, which is driving the API market. The general prescription drug sub-segment occupies a major share in the API manufacturing segment, as compared to OTC drugs. Other factors driving the growth of the API segment includes stringent government initiatives in the healthcare sector, innovation in biologics, and rise in the incidence of cancer and age-related diseases. However, strict European regulatory policies may hinder the segment’s growth. Captive manufacturers are currently leading the API market; however, they are slowly expected to lose their market share to contract manufacturers toward the end of the forecast period. This is due to the complex and expensive in-house manufacturing of API and increasing competition from emerging players in this industry.The increasing emphasis on high-potency APIs is driving the growth of the segment. The novel technologies for HPAPIs can potentially change the in-out balance of CMOs in this fast-growing segment. As the big pharma companies continue to scale down on manufacturing, greater opportunities for the CMOs are expected, both in the biopharmaceutical and small molecule API segments. The United States, which in in North America, is the world’s largest market for drugs and accounts for almost half of the R&D spending in pharmaceutical and biotechnology markets. Hence, CMOs play a critical role in this market and have invested in new facilities and technologies to cater to a wide range of outsourcers.The United States is expected to face strong competition from Asia-Pacific CMO providers, especially in solid dose formation. The consolidation of CMOs is expected to occur within the next five years, as the competitors will either leave the industry, or abandon a specific area within the industry, or go out of business. This improves the pricing power of value-added CMOs. 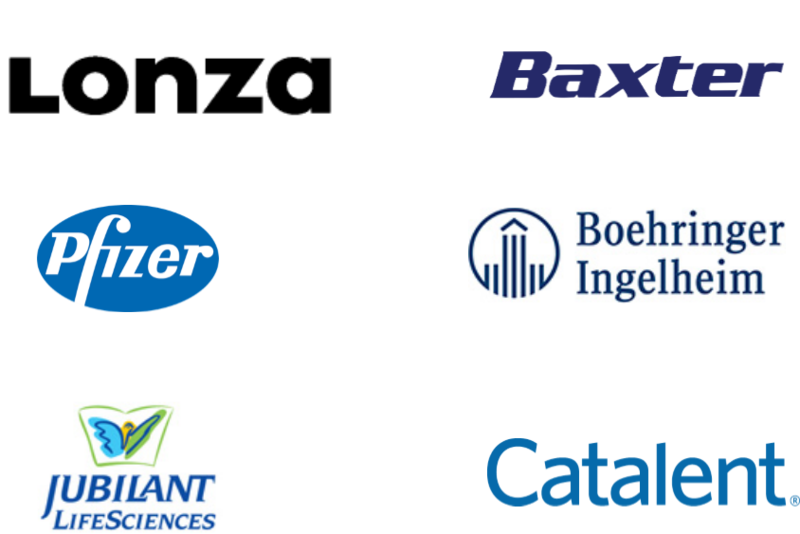 Companies, such as Catalent and Patheon, have an established customer base in the United States and are leaders in oral and sterile dose formulations. These companies have been aggressive in expanding their products/services/capabilities through strategic alliances. With the recent acquisition of Confab, DPT Laboratories has become the global leader in prescription semi-solid and liquid formulations, acquiring proprietary products. The pharmaceutical contract manufacturing market is highly competitive and consists of several major players. 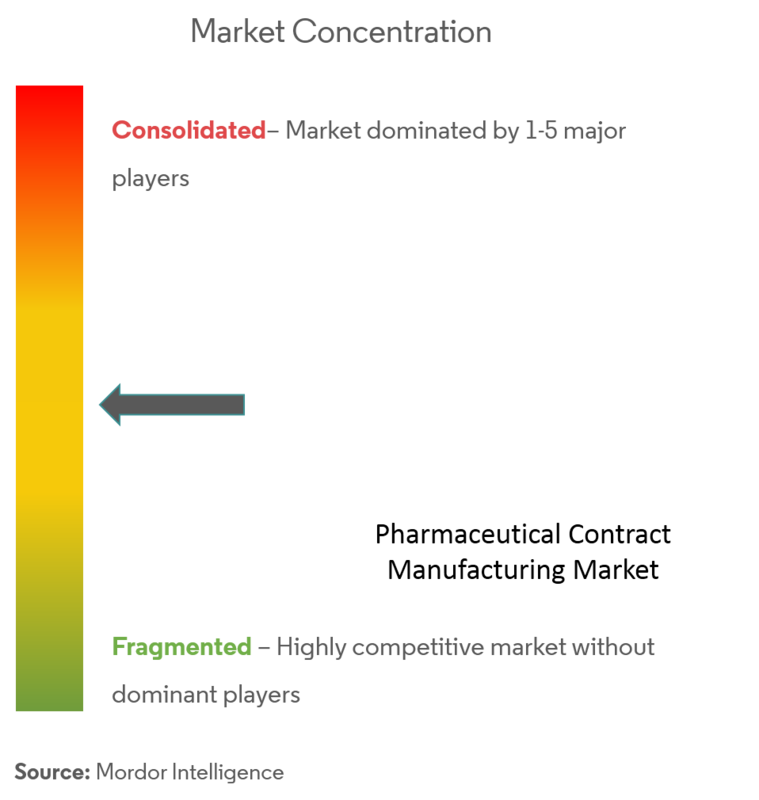 In terms of market share, few of the major players currently dominate the market. These major players with a prominent share in the market are focusing on expanding their customer base across foreign countries. These companies are leveraging on strategic collaborative initiatives to increase their market share and increase their profitability. The companies operating in the market are also acquiring start-ups working on enterprise network equipment technologies to strengthen their product capabilities. In April 2017, Famar announced the closure of the acquisition of a manufacturing site from Bayer, located at Pointe-Claire, Canada, with the transfer of full ownership of the plant to Famar. 6.1.3 Boehringer Ingelheim International GmbH.